Someone brought up the mural in Palpatine's office in Revenge of the Sith so thought it might be an interesting topic for discussion.... 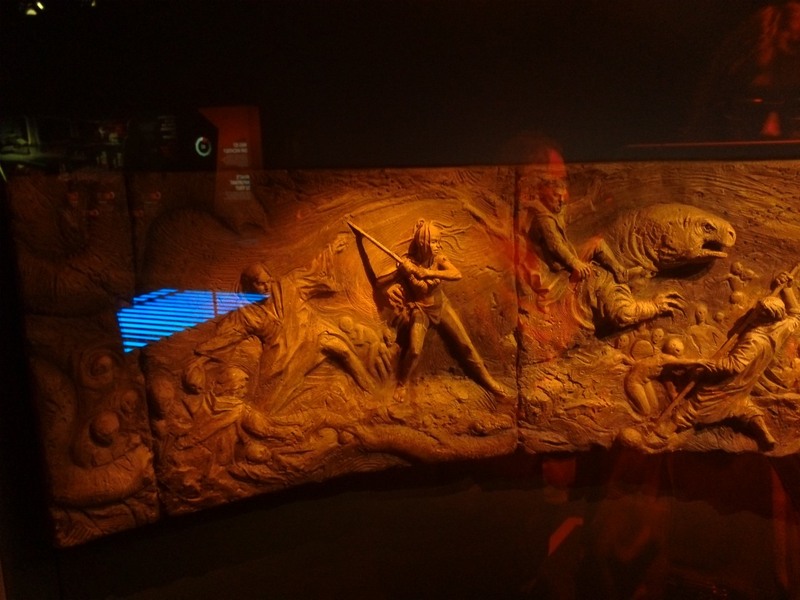 According to the EU, this is supposed to be a Massassi frieze depicting an ancient battle (the Great Hyperspace War- Ruusan campaign) and was excavated on Yavin IV (Poe's planet). 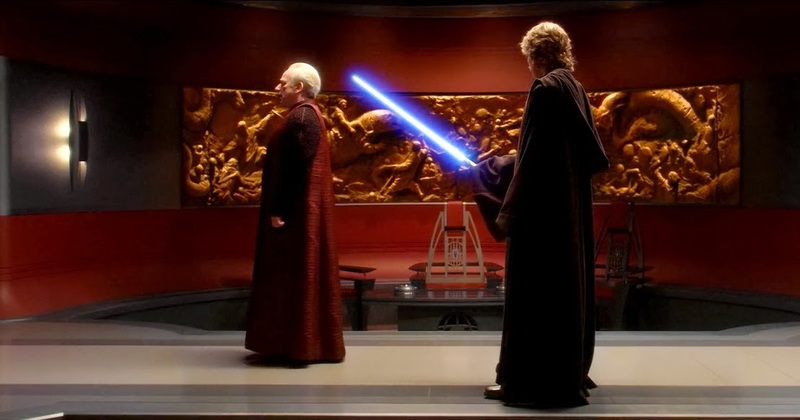 This was a particularly terrible battle between the jedi and sith.....when Palpatine kept it in his office, the jedi thought he was giving them respect but he was actually keeping it there to show sith superiority. The EU Ruusan campaign ended when a hundred jedi sacrificed their lives by forcing a sith lord to detonate a super-weapon in an underground cavern, which wiped out all the sith. Subsequently, Darth Bane brought in the rule of two to avoid infighting among the sith lords. Note: Are those rathars on the right side of the mural? 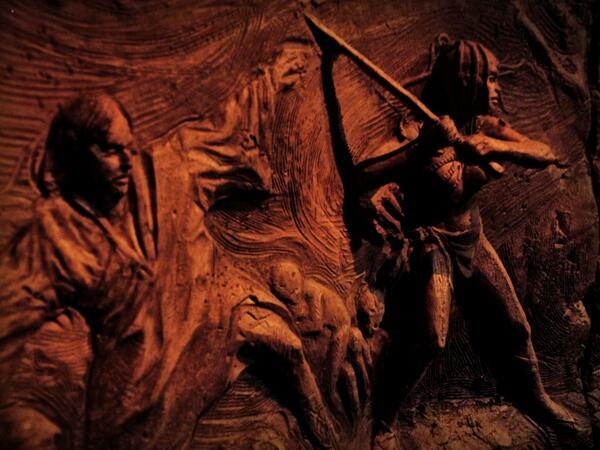 In Weapon of a Jedi, Luke hears about a story linked to the jedi temple on Devaron. He is told that jedi were killed while summoning a demon warrior during a battle and their spirits were imprisoned there....and Luke thinks it is part of Palpatine's propaganda to prevent people from visiting the temple ruins....but he senses a strange presence under the temple. In SW Rebels, the Rebels visit Malachor where a female sith lord (the presence) unleashed a superweapon, killing jedi and sith alike.